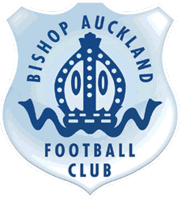 Bishop Auckland Football Club is pleased to announce the Match Day Sponsorship and Hospitality packages for 2017-18. Bishop Auckland Football Club Matchday Sponsorship and Hospitality packages affords the perfect combination of superb facilities, first-class service and great football in the Ebac Northern League Division 1. With so much to offer, from fantastic views of the pitch and fine cuisine and service, match days at Bishop Auckland Football Club are something special. The matchday sponsorship and hospitality packages have been expertly designed for you to make the most of your time with us, all for some of the most competitive prices within football match day sponsorship and hospitality. So, whether you’re joining us for business or pleasure, a special occasion or just a great day out, you can be sure that Bishop Auckland Football Club offers the ultimate destination for an unforgettable match day experience. We are hopeful of a very high league position at the end of April 2018. So, the time is right to come along and support the club as we continue to progress, both on and off the pitch. We appreciate the help and support we get from all our supporters and we are delighted to offer you a superb matchday sponsorship or hospitality package, see below for details. The 2017-18 fixture list can be found on the Club’s website and we expect many of the home games will be a popular choice of those wishing to take up these packages, so be sure to book early! Discounts are available for multiple bookings. Please contact [email protected] for further details.